Once upon a time, you believed in the tooth fairy. You counted on the stability of housing prices and depended on bankers to be, well, dependable. And you figured that taking vitamins was good for you. Oh, it's painful when another myth gets shattered. Recent research suggests that a daily multi is a waste of money for most people—and there's growing evidence that some other old standbys may even hurt your health. Here's what you need to know. 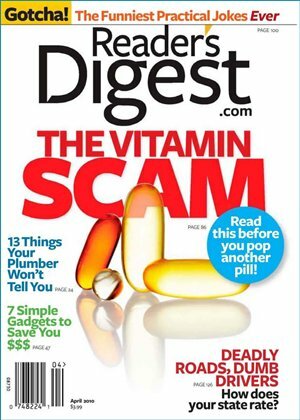 So here's the Reader's Digest Version of the truth about vitamins: Eat right, and supplement with vitamin D. That's a no-brainer coupled with a great bet—and that's no lie. Remember: Juice Plus+ is whole food based nutrition in a capsule or chewable; Juice Plus+ is not a vitamin supplement. Juice Plus+ is also backed by solid research with 25 published studies proving that it works.